Photo: Down time at the beach. 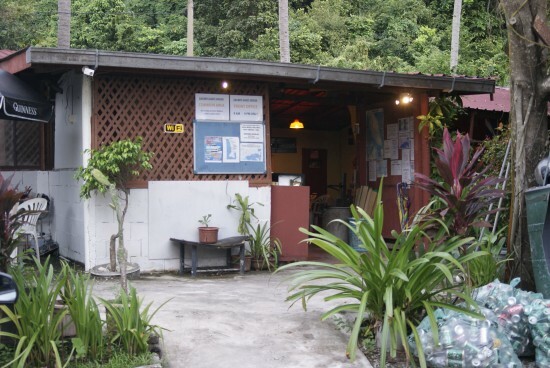 Zackry Guest House off Panta Tengah is a 27-room guesthouse set in a hodge-podge cluster of buildings down towards the end of Jalan Pantai Tengah. The small pool to the left and the duck pond to right add to Zackry’s eclectic ambiance. As you arrive you walk down a short drive to the main reception area ; it’s hard to discern that it’s a reception area, but the building indeed houses reception plus a communal kitchen, lounge and a small bar area. The true charm of Zackry Guest House is how it’s run. 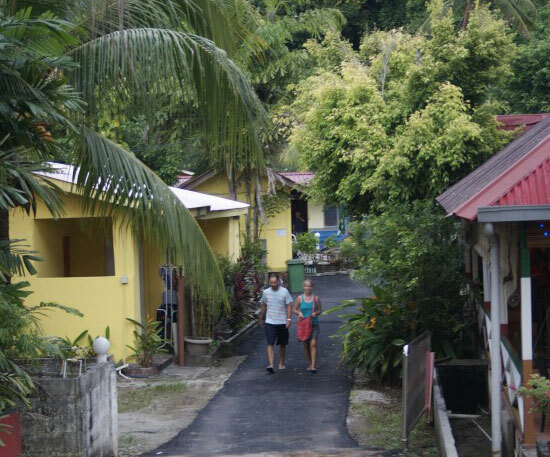 The owners are friendly and incredibly helpful with information on where to go in Langkawi and how to get there. Zackry regards all guests as family and the atmosphere reflects this. Because of the relaxed environment it’s easy to meet people in the lounge area, share information or even share car/motor bike rental expenses. 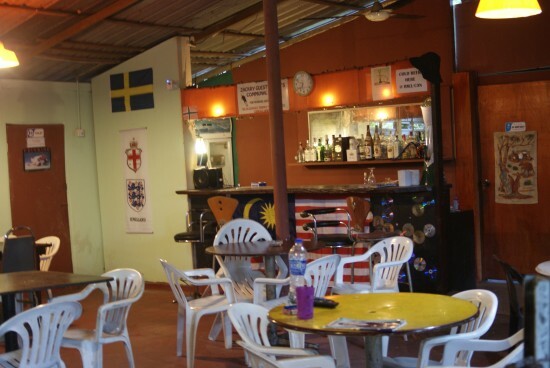 It offers basic single accommodation, fan-cooled at 45 ringgit or air-con for 65 ringgit. Some rooms have a shared bath and some have a bath en-suite. Your Pantai Tengah home away from home. Although most guests are younger, older travellers will feel quite comfortable here as well. The surrounding neighbourhood and businesses are also well versed in international travellers and always up for a chat or a second opinion on information. Please note that children under twelve years of age and travellers over age 65 are not accepted. Zackry’s common area for mixin’ and minglin’. Located within walking distance of many restaurants and nightspots, you won’t have any trouble finding somewhere to eat that’s cheap through to fancier fine dining spots. And the beach is basically across the main road, although you may need to negotiate a few tiny obstacles. Zackry’s offers the traveller an affordable alternative to the more chaotic Pantai Cenang, which is just a 10-minute walk down the road. Except for a few smaller guesthouses it’s the only accommodation of its kind in Pantai Tengah and impossible to match on price and value. Last updated on 28th February, 2016. Check rates at Zackry Guest House on Booking.com. A selection of some of our favourite sights and activities around Langkawi. 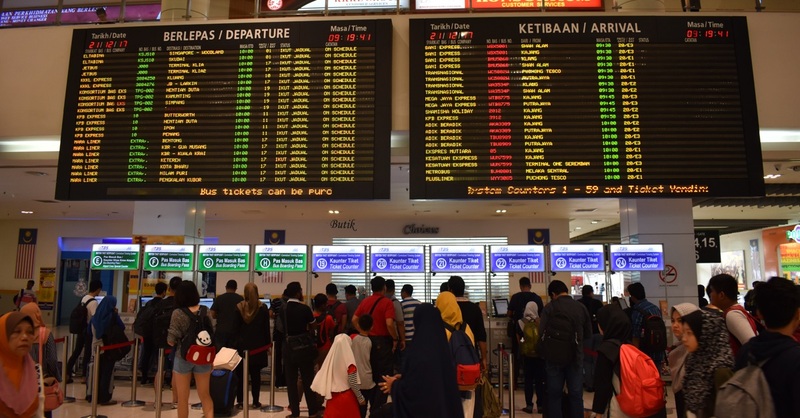 Where are you planning on heading to after Langkawi? Here are some spots commonly visited from here, or click here to see a full destination list for Malaysia.